Serving a mission was never something I’d thought about before. Twenty-one seemed so old — I feel some embarrassment for the thought now that I’ve left 21 behind — and I was applying to colleges and figuring out scholarships for the next year. The age change was another thing I had to figure out now because it affected my future. So as classmates my age started their papers and younger friends talked about how excited they were to go out and serve, I didn’t do anything. I’d never felt an extreme desire to serve when I was younger, and the announcement didn’t put a passion in me either. I wanted to follow what the Lord had planned for my life. But I had made plans that I thought were in line with what He had in mind. Eventually — within a week or so — I thought about it. I said a prayer. And I decided I wasn’t going to go on a mission. Years later, I don’t regret that decision. College was good for me. I made good friends, went through hard things, and learned what I wanted to do with my life. 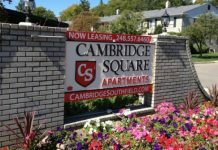 I moved away from home, and transferred schools, and figured out how to be an adult. Basically I grew up. Of the seven girls on my varsity cross country team, the one that was running a race when the announcement was made, I was one of only two who did not serve a mission. I didn’t know that I was going to be an exception to the norm. For girls turning 19, the pressure to serve a mission is surprisingly intense. It’s the so-called “next step”: go to high school (with seminary), mission, college, marriage. Wrap it up with a bow and call it your life. But that expectation raises problems later in life for girls who didn’t follow the “standard” path. 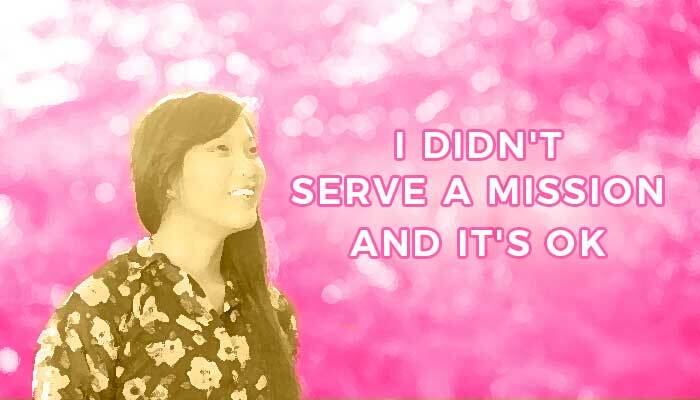 Girls who don’t want to serve a mission shouldn’t feel pressured to do so. Missions are good, don’t get me wrong! They are just not for everyone. To be able to serve suggests that you can withstand the emotional and physical rigors a mission will require. Some people, boys or girls, can’t. To go on a full 2-year or 18 month mission would overwhelm them. If they can’t, then it’s okay. To be worthy to serve implies that you can enter the temple and take out your endowment. It’s a full commitment. Preventing those who aren’t worthy from taking it is meant to be protective and not exclusive. If you aren’t worthy, going to the temple and making those sacred covenants will do more harm to your soul than good. You definitely need the blessings of the endowment for a mission. Finally: “who have the desire to serve.” For young men, it is based on commandment. But for young women, it is based on their own personal desire to serve the Lord through a mission. Missions can be powerful and life changing, and I am a huge fan of all the sister missionaries who have served and will serve. That is their desire. The Lord has ways of teaching us and helping us grow no matter where we find ourselves. A young woman can struggle, learn, fail, and succeed while in college, or while doing humanitarian work, or while traveling the world, just as much as she could on a mission, but through different experiences. For some, a mission is not the next step, it’s another possibility. Missions aren’t a guarantee of success in the future either. Plenty of returned missionaries find fault with church doctrine or leaders and leave. Plenty of people who have never served missions grow into amazing spiritual leaders (i.e. President Monson). Indeed, serving a mission doesn’t guarantee someone will be a spiritual person or even a Latter-day Saint at all. You can’t base spirituality on a missionary tag. In the end, the decision whether to serve a mission is between you and the Lord. The important thing is that you are following the Lord’s counsel and preparing to make covenants in the temple. What do you think of the pressure young women feel to serve a mission? Let us know in the comments below! 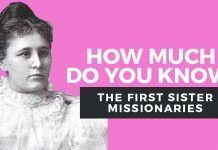 How Much Do You Know About the First Sister Missionaries?